Been sticking to the diet but not seeing the results you want? This is a common issue and was in fact the third most popular reason why people in a recent poll said they’d given up on diets in the past (after stress and boredom). It’s no wonder, if you feel you are doing everything right and not seeing any shift on the scales, you start to lose your motivation. But stop and think for a second – what is the alternative to sticking with it? Giving up? Reverting to your old habits and possibly putting ON weight? Surely this is not an option? Check back over your food diary – have you really been as accurate as you could have been? Be honest with yourself – did you weigh everything? Enter everything? Used the right brand for foods you’ve selected from the database? In order to be successful with your diet you need to ensure you are sticking to the calorie allowance set for you, and the only way to know this is to accurately record everything in your food diary. Remember it only takes a few calories either way to tip the balance between losing or gaining weight. Are you being active enough? Being more active is a great way to boost your weight loss, so have a think about whether you are doing as much as you can. You should be aiming to be more active than you were prior to using the service. Even just being more active in day to day life can make a difference. So things like taking the stairs not the lift, going to the toilet furthest away from your office (or on another floor at work), walking or cycling to work, getting off the bus a stop early and walking the rest of the way. If you can fit in more structured exercise then great – try something new and that you think you will enjoy. If you can find an activity that you like, you will be far more likely to stick with it. Try a Zumba class, go walking with a friend, try swimming with the kids or grab our Total Body Tone DVD – just something where you can burn some extra calories while having a good time. Are you eating the right type of foods? 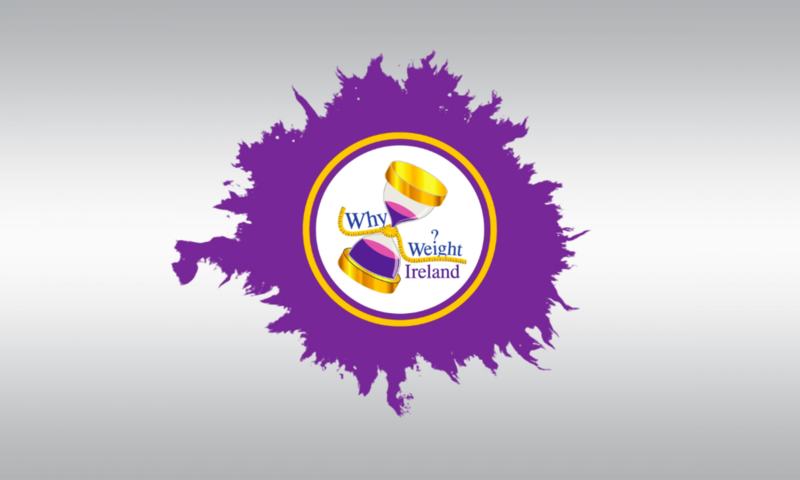 With Why Weight Ireland, no foods are banned and generally speaking if you stick within your calorie target each day, you should lose weight – regardless of what you are eating. But that’s not to say that you shouldn’t aim for the most healthy choices when you can, to ensure your body is getting the nutrients it needs to stay health. A healthy diet should be rich in wholegrain carbohydrates such as wholemeal bread, wholewheat pasta, wholegrain rice, oats and quinoa; lean protein such as chicken, turkey, fish, quorn, eggs and lean meat; a variety of fruits and vegetables and three portions of low fat dairy foods such as low fat yogurt, reduced fat cheese and semi-skimmed milk each day. You should also aim to cut down on saturated fats found in things like fried foods, cakes, pastries, biscuits and fatty meats, and increase your intake of unsaturated ‘good’ fats in things like nuts, seeds, olive oil and oily fish. Our ethos is that if you eat well 80% of the time, then you can afford to have a few treats the other 20% of the time. Eating the right balance of foods will help to keep you healthy, feeling satisfied and should help with your overall weight loss goal. Have you reached a natural plateau? Have you been losing weight for a while e.g. 2-3 months? If so, you may have just reached a natural plateau in your weight loss. This is very common and happens to most people after a significant period of continual weight loss. A plateau is usually temporary, but it can be a risky time if it starts to affect your motivation. So my advice is to expect a plateau will happen at some point – it’s normal! And be confident that if you keep going, it will pass and weight loss will starts again. Try introducing some resistance training into your regime to build up some lean muscle tissue – this type of tissue burns calories so will help to boost your bodies overall calorie burning potential. It may sound silly but you can actually eat too little, and this can have a negative impact on your weight loss. Eating well under your calorie target for an extended period of time can mean your body isn’t getting all the nutrients it needs to stay health and function correctly. Our bodies are also very clever and adaptive, so when you reduce the amount of energy it’s getting over time, it adapts to try and conserve energy and reduce fat loss. So eating a very low calorie diet can cause your body to slow down its metabolic processes which can result in weight loss slowing down or even stopping for a while. It’s important that you eat the calorie allowance that has been set for you, as this is the right level for you to lose weight at a rate of 1-2 lbs per week. As you lose weight you can then gradually reduce your allowance to ensure weight loss continues – starting off too low will mean you have nowhere to go with your allowance. You should be aiming for a 1-2 lb per week loss, as this is a healthy and sustainable rate of loss. If you’re feeling frustrated because you aren’t losing weight at a faster rate than this, then take a step back for a second. This is a lifestyle change, not a quick fix diet – if you follow the principles of Why Weight Ireland you can lose weight healthily and happily. There is no need to cut out food groups, not eat your favourite foods, not go out for dinner or have the odd glass of wine – you can do all of those things and still lose weight. Don’t set yourself unrealistic targets, because you’re likely to quickly fall off the wagon and lose your way. So to summarise – if you are not seeing the weight loss you’d hoped for, don’t immediately throw in the towel. Refer to the 7 points above to see if there is something you can change to get things moving – more often than not there’s a very logical explanation!